X-Wing™ fans, get to your stations! 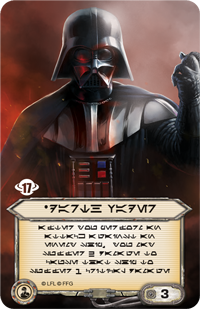 Fantasy Flight Games is excited to announce that the first phase of the Coruscant™ Invitational voting has begun! The System Open Series is well underway and we hope that you will be able to join us at one of these major events and win some fantastic, exclusive prizes! We do understand that not everyone can make it and we want you to be able to join in on the fun! Over the next couple of months, you will be able to submit your mini-squads to us and help shape the Coruscant Invitational. The Coruscant Invitational is the culmination of the System Open Series, created to celebrate the game of X-Wing and the amazing community that surrounds the game. The winners from each System Open will play in a tournament, using squads from each of the game’s three factions. These players will be competing for eternal glory and the chance to inspire a card that will be released in X-Wing’s future, but how they win will be determined by you! For the Coruscant Invitational, each competitor will bring a 77-point squadron of each faction. When they arrive, they will draft a mini-squad from each faction and add it to their squadron (for more information on this process, read our article on the Coruscant Invitational). Each faction will have eight mini-squads to choose from, each with only generic pilots and upgrades. 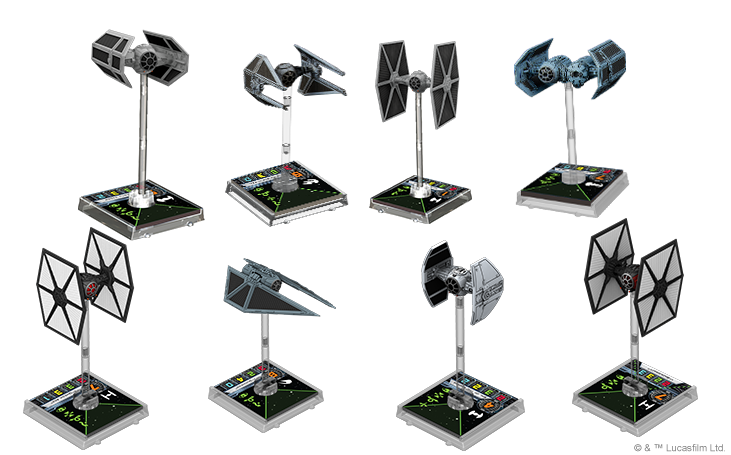 One mini-squad for each faction will be designed and selected by you—our wonderful X-Wing community! 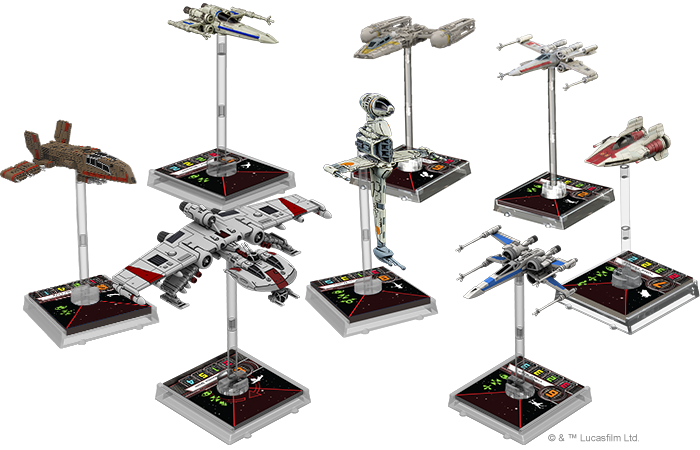 Each mini-squad is built around a different ship, to showcase and include the variety that X-Wing is known for. We want you to create a 23 to 28 point mini-squad for each faction: the Rebels will equip the B-Wing, Imperials will be outfitting a TIE Advanced, and Scum will be rigging together the stalwart Y-Wing. Each of these ships carries options for a wide array of upgrades, which we hope will lead to some very interesting and creative mini-squads! Over the next week, you can submit your design for a mini-squad through Twitter, by following the instructions below. After a week of review, we will select four of our favorite mini-squads for each faction and place them into voting brackets. As we get closer to the Coruscant Invitational, the community will vote on their favorite mini-squads from our selections, until only one ship for each faction remains. 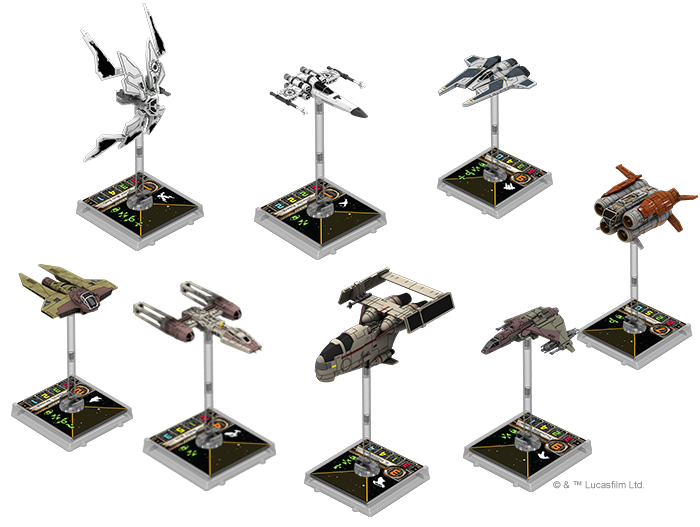 These ships will be entered into the drafting pool for the competitors in the Coruscant Invitational and will see play from some of the most skilled X-Wing players from around the world! Include #XWingVote2017 and @FFGOP in your tweet, so the community can easily find it. Don’t forget to follow @FFGOP! The pilot and upgrade cards you chose. Abbreviations are acceptable if necessary and understandable. Remember: In order to ensure squad legality for players, no unique pilots or upgrades can be used, and total points must be between 23 and 28. 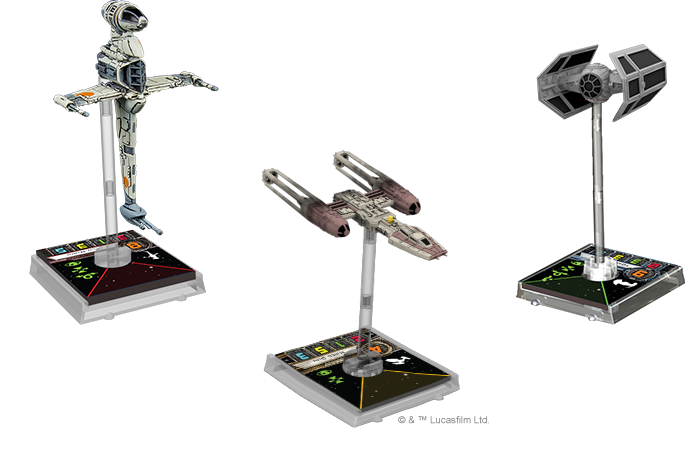 Attach a photo of your mini-squad’s ship, pilot card, and upgrade cards. We want to see some creative staging: use some tokens or other components to communicate visually how you see this mini-squad contributing to its player’s victory! Submit your idea for one of these three mini-squads now! After a week of submissions and a week of review, we will announce our favorites based on the components and photos. Then we will contact our chosen creators and place their mini-squads into a voting bracket, which the community will use to determine the winners over the coming months! 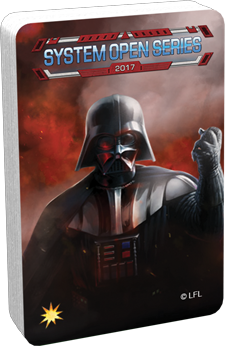 The twelve creators of our selected mini-squads will receive an alternate back damage deck and an alternate art Darth Vader crew card from the 2017 System Open Series prizes! 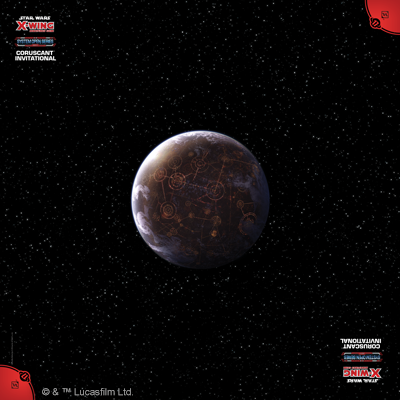 The mini-squad that comes out on top of each faction’s voting will earn another coveted prize for its creator: one of the Coruscant Invitational exclusive playmats given to the invitees! Submissions will be accepted through February 23, 2017 until 11:59 PM CST. Please make sure to follow the guidelines above. We will be retweeting some submissions with great photos, so we can’t wait to see what you come up with! Keep your comms open for updates from us on the System Open Voting! Over the course of the coming months, we will narrow down our favorite choices, give out some more prizes via Twitter, and show you what our esteemed panel members will be including in their mini-squads!